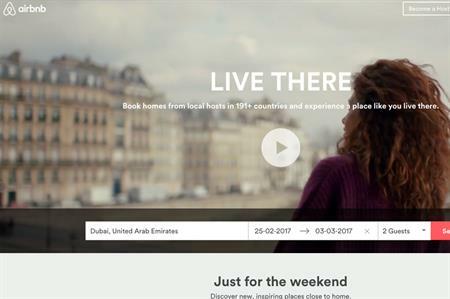 American Express Global Business Travel (GBT) has announced a commercial agreement with community hospitality company Airbnb. The partnership will make Airbnb more accessible to GBT customers and allow the company to book accommodation on Airbnb for business travellers. During the first phase of the programme, GBT and its customers can book directly on Airbnb.com. In the coming weeks, GBT and Airbnb will integrate Airbnb booking information into GBT’s reporting platform, enabling customers to easily track travellers’ Airbnb bookings. Once the integration is complete, the reservation details for each business trip will automatically be shared with GBT. Travellers can access booking information through GBT’s corporate reporting and duty of care platforms, in addition to corporate itineraries and mobile devices. "Business travellers want the freedom to choose accommodation that aligns with their personal and professional tastes," said Wes Bergstrom, GBT’s vice president of global supplier relations. "At the same time, traveller safety and security are a top priority for companies. As the first travel management company (TMC) to partner with Airbnb, our customers can evolve their travel policies to offer travellers the ability to book preferred accommodation." Lex Bayer, head of global payments and business travel at Airbnb, added: "We are excited to be working with one of the leaders in the travel management space, and look forward to helping business travellers feel more at home while travelling on the road." The first phase of this partnership will go live in the United States in the next few weeks, and expand to additional countries, including the UK, France and Germany, later this year.